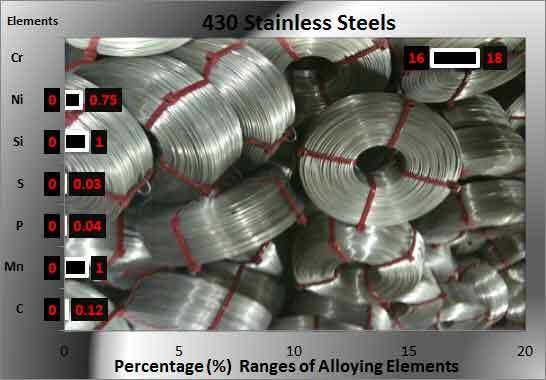 What are 430 Stainless Steels? 430 stainless steel is a Ferrite structure having good corrosion protection and good formability qualities. Stainless steel 430 grade cannot be hardened because it is meant to be formed with related characteristics. Its capability to protect from nitric acid outbreak allows it to be applied in particular chemical uses although largest areas of applications include automotive components and appliance parts. Type 430F stainless steel is the free-machining type of this grade. This type 430 is also quite different from largely used 440C high carbon grade which is a martensite structure. 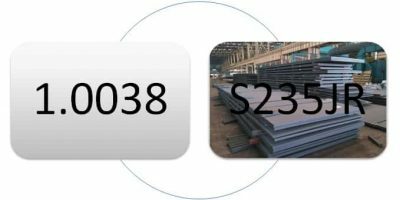 Dimensional Characteristics of 430 Stainless Steels: The applicable thickness in millimeters for this 430 Stainless Steels ranges from 0.25 to 3.68 whereas the width in millimeters is from 600 to 1200. Crux: 430 stainless steel is easier for machining as compare to 304 and 303 material grades. But while machining it has a problem of picking up with the tool sometimes. So extra care is needed in coping up this dilemma. Stainless steel 430 protects itself from oxidation to a temperature of eight hundred degree centigrade where as eight hundred and fifteen degree centigrade if it is constant use. This type can experience embrittlement sometimes at room temperature after extended heat treatment. But this embrittlement can be relieved by annealing processes. Normally these are easily weldable & the quality of Weldability can be made good by following standard procedures. 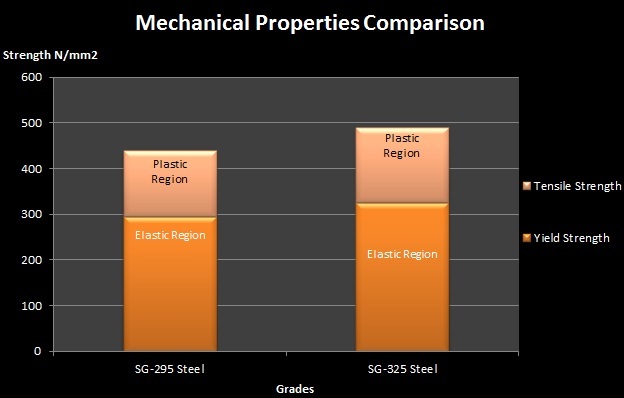 Minimum Tensile strength is 450 Mpa in some technical sources. Yield strength is from 205 Mpa in some technical sources. Maximum Hardness in HB as specified in technical sources is 183. Elongation is 22% in 50mm in some technical reference. In JIS standard, the equivalent material is referred as SUS 430 type steel. In ASTM standard, the equivalent material is referred as N/A type steel. In DIN standard, the equivalent material is referred as 1.4016 type steel. In UNS standard, the equivalent material is referred as S43000 type steel. Premium supplier name is Penn Stainless Products, Contact information is 215-536-3053 and postal address is 190 Kelly Road, Quakertown, PA 18951 . Secondry supplier name is Precision Steel Warehouse, Inc, Contact information is 800-875-6723 and postal address is 3500 Wolf Road , Franklin Park, IL 60131. Tertiary supplier name is AK Steel Corporation, Contact information is 800-331-5050 and postal address is 9227 Centre Pointe Drive West Chester, OH 45069.